The design of concrete mixes is becoming increasingly complex, with the addition of new materials in the compounds, such as organic admixtures, fibres and supplementary cementitious materials. Moreover, the list of properties which concretes are required to possess for certain applications has increased, and interest is developing in rheology, durability, deformability and whole-life behaviour. 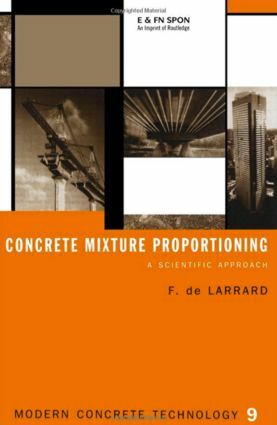 This book presents a number of simple models for the understanding of a concrete system, and provides the techniques for developing more sophisticated models for the practical design of concrete mixes.